How do you find a job when you are better at writing code than a pitch-perfect resume? Chances are for you, finding a new job will become a job in itself- from perfecting that resume application to applying to numerous jobs on career websites to networking at events. However, one startup aims to weed out the complexity from technical hiring so that technical talent can be hired on the basis of coding and not resume writing. Founded in 2017 by Vartika Manasvi, who began her career as a resume writer with Naukri.com at the age of 20 and Celento C George, who has been coding since the age of 10, StackRaft automates recruitment end to end from sourcing, selection to retention with a market focus on Canadian companies that want to hire tech talent from India. 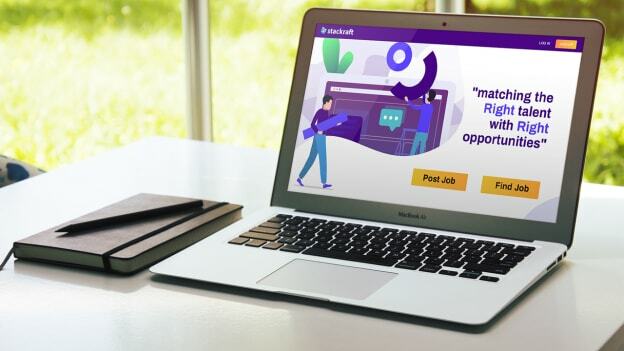 StackRaft is an advanced interviewing platform that connects companies with technical talent as per skills & personality compatibility and not just simple resume screening. Built in collaboration with professors at University of Toronto, the StackRaft algorithm uses machine learning prediction techniques to streamline the complexity of matching a career opportunity to talent. 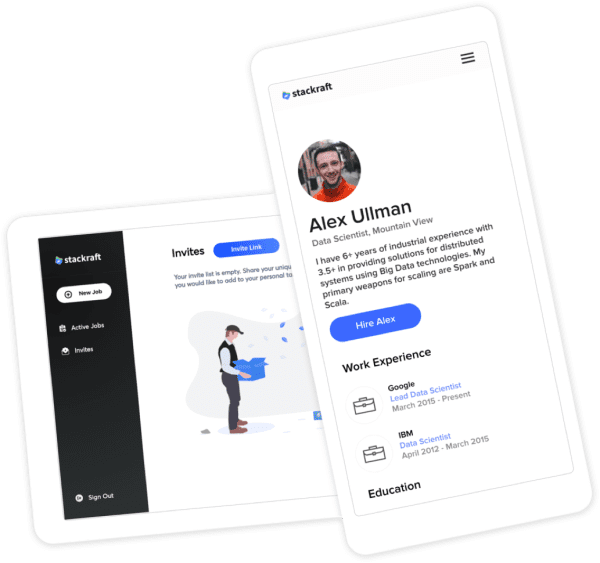 The fundamental idea of starting StackRaft was the resume screening process which is purely based on the keywords search and when that process itself is accelerated with new technologies like machine learning, the problem accelerates. Say for instance if 300 people apply for 1 job and 20 applications are screened by an ATS system or any other tool that a company uses which is further brought down to 5 candidates to hire 1, that whole process of selection, talking to candidates, pre-screening is tedious and creates many communication gaps, resulting in a bad candidate experience. The StackRaft algorithm aims to bridge this evaluation gap by screening on skills and values to assess a compatibility score between two people. StackRaft fills this evaluation gap by prioritizing quality over quantity. This means candidates apply to jobs by taking bite-sized skill-based challenges on programming, computer science fundamentals and maths, posted either by the companies or selected from its own skill bank. They get an instant score and companies can then send interview requests directly from the platform. These challenges can be created directly by the hiring manager or they can select to use StackRaft’s proprietary skill bank that’s created by its instructors and researchers. 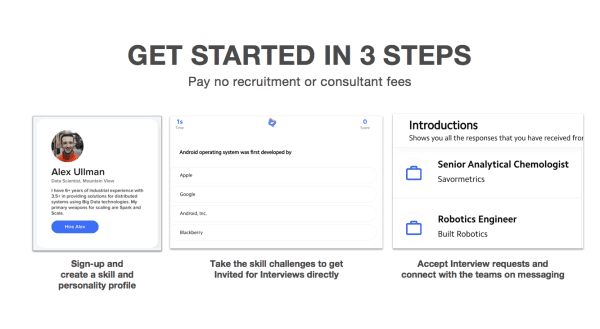 The process consists of three simple steps- hiring managers create a job post with challenges on the platform, candidates apply to those jobs by taking the challenges, hiring manager then sends an interview request directly and an introduction is made between the two to further deep dive on the evaluation and selection process. Thus by measuring competencies of a person and predicting their learning curve in a particular skill, StackRaft not only matches and recommends for jobs but also shows a guided learning path and a knowledge curve to candidates as to where they can re-skill themselves constantly. The startup’s focus area currently is in remote work and cross border hiring for Indian tech talent on H1B visa, who are either looking to migrate to Canada or move back to India. Almost 30% of its 100K tech talent base (pooled from all sources) is looking for a cross border career in either US or Canada and the startup optimizes to help them find the best companies as per their skills. Currently, the active user base with activated profiles on the platform numbers around 8K. For candidates, creating a talent profile, applying to companies or even the career coach service on messaging is free of cost. Meanwhile, for companies, posting a job is free, as is using this as a simple ATS and collaborating with team members. A nominal monthly subscription of $99 is applicable if companies want to evaluate as per their own challenges and use its ranking algorithm to not just save time & cost in hiring but also making a bias-free hiring decision. Savormetrics, Epic, Magic, and a few US companies that are expanding to Canada are currently using the product to hire global tech talent where in-person interviewing is difficult. For now, the firm’s focus is technical talent only and advancing their careers with no bias to pedigrees or geography. In its next phase of expansion, the firm will endeavor to become a robust network where it can help small recruitment agencies and colleges to use its technology to evaluate and screen better. In this direction, it is partnering with more universities and colleges to onboard skill based instructors to create good experiential content for the challenges on the platform. While one may argue that there are a number of players in the recruitment space which are banking on competency tests and challenges such as HackerEarth, HackerRank to name a few, as per Vartika what differentiates StackRaft is its technology and approach for screening applicants with a focus on Indian tech talent. Another important differentiator is that the platform is like a community that advances careers and matches with best jobs, and is not exactly a job board or a HR-Tech SaaS platform. Or as the founders like to call it, Linkedin for the 21st Century. It is no hidden secret that the job searches of the future are going to be a completely different experience, with technology doing most of the heavy lifting. As per Vartika, getting hired in the future will involve more face time and less resume spamming and talent search. It will be the end of resumes, as technology humanizes hiring. Recruitment too will be beyond just a “black box” AI that makes decisions without traceable explanation or reasoning. “Talent management within organizations is a data problem. Today organizations don’t have the right data to know if the way they mobilize talent will get the right people in the right seats. Each department hoards the people data they themselves have collected. The data is disparate; data collected in one business unit is incompatible with the data collected in another. This is a big opportunity to create a universal talent data pool,” says Vartika. This is wherein technology can solve this tangled web around data and help companies simplify talent acquisition. While StackRaft does address one part of the equation by adding a method to the madness, ultimately talent acquisition will be less and less about applying to a job and more about why this company and who’s in the team. How will the startup address this part of the equation remains to be seen. Know more about what's next in TA at the People Matters Talent Acquisition Conference 2019 on 29th May at Mumbai. Click here to register.